Green chemistry is the design of chemical products and processes that reduce and/or eliminate the use or generation of hazardous substances. This approach requires an open and interdisciplinary view of material and product design, applying the principle that it is better to consider waste and hazard prevention options during the design and development phase, rather than disposing, treating and handling waste and hazardous chemicals after a process or material has been developed. Green chemistry is an opportunity for introducing innovative solutions to chemical problems and applying sustainability towards molecular design. 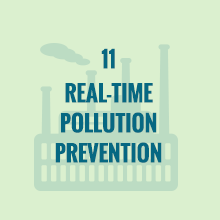 Chemists have the ability to design products and processes that have reduced impacts on humans and the environment and therefore creating sustainable chemical building blocks for materials and products in our society. 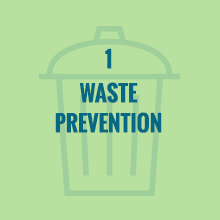 It is better to prevent waste than to treat and clean up waste after it is formed. 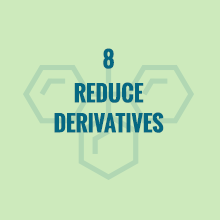 Chemical products should be designed to preserve efficacy of the function while reducing toxicity. 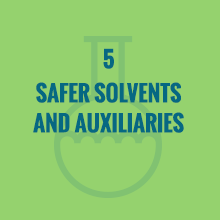 The use of auxiliary substances (solvents, separations agents, etc.) should be made unnecessary whenever possible and, when used, innocuous. 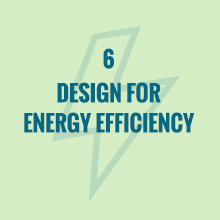 Energy requirements should be recognized for their environmental and economic impacts and should be minimized. Synthetic methods should be conducted to ambient temperature and pressure. 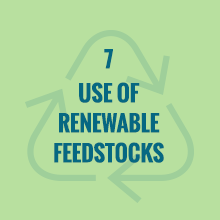 A raw material or feedstock should be renewable rather than depleting whenever technically and economically practical. 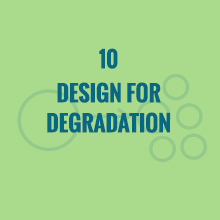 Chemical products should be designed so that at the end of their function they do not persist in the environment and instead breakdown into innocuous degradation products. Analytical methodologies need to be further developed to allow for real-time in-process monitoring and control prior to the formation of hazardous substances. 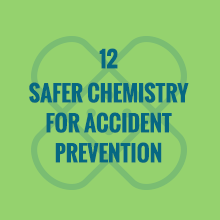 Substance and the form of a substance used in a chemical process should be chosen so as to minimize the potential for chemical accidents, including releases, explosions and fires. Is Green Chemistry more expensive? No. 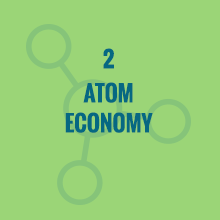 Greener chemical processes can result in a tremendous benefit to the economic bottom line. 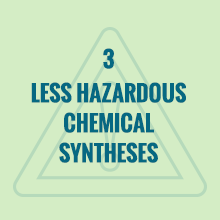 It is more expensive to use and generate hazardous chemicals due to the many costs associated with their use – disposal, regulatory, exposure controls, etc. Organizations who implement green chemistry in their laboratories often see reduction in costs associated with the greener processes. How do scientists design out hazards? By teaching chemists about what makes a molecule toxic (to the environment and to humans). Traditionally, throughout the education of a chemist, training is absent of chemical toxicity and environmental impact. 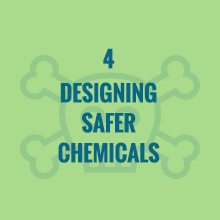 Chemists have traditionally not been taught how to design safer chemicals and chemical processes. 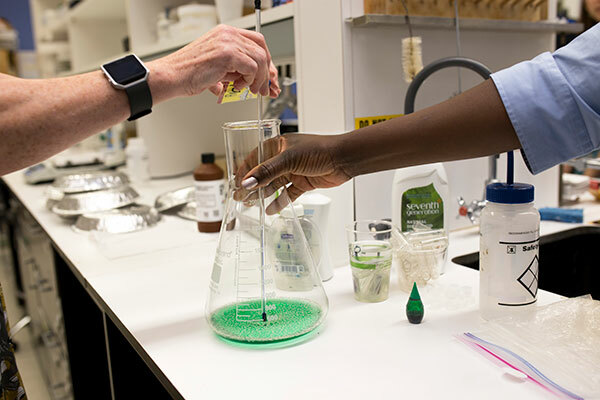 Green Chemistry seeks to merge an understanding of toxicology with the knowledge of synthetic design of molecules in order to create the next generation of safe chemicals and products. 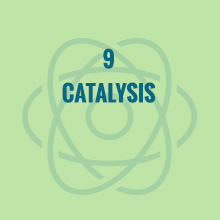 By integrating Green Chemistry concepts throughout our educational systems, from K through 20, scientists can be better prepared to create innovative solutions to global challenges through molecular design, and citizens can better understand the importance, and the impact, of the chemicals we use in our daily lives. Learn more about our Theory of Change to understand how Green Chemistry Education is central to a sustainable planet and healthy population.